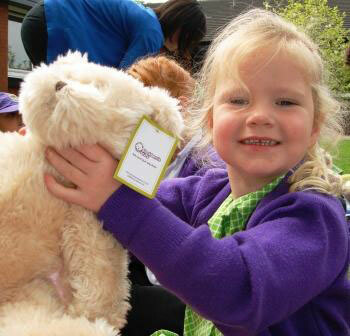 Yesterday afternoon, 41 little Pre School children ventured to Wilmar Lodge with their teddies safely stored in their back packs for a special teddy bears’ picnic. 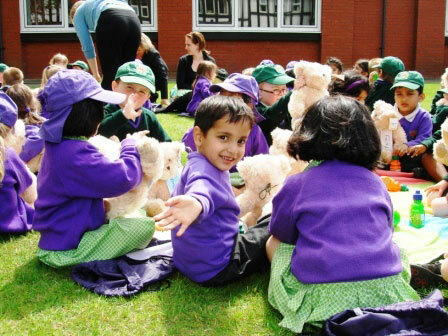 The sun was shining brightly as they shared their picnics with their furry friends, listened to teddy bear stories and played pass the parcel. The day before, the children had brought their teddy bears to life by stuffing them, giving them names and designing special name tags to make sure they didn’t get lost! You can see some of the pictures of the picnic in the Infant School gallery by clicking here.